"Michael had chicken pot pie for lunch. 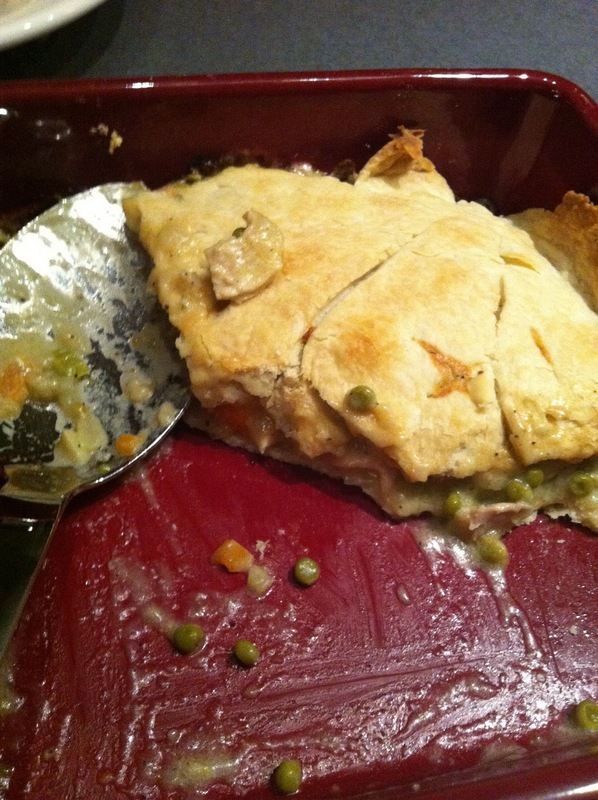 Actually let me rephrase that, Michael had an entire chicken pot pie for lunch- Let me be more specific. Michael ate an entire, family-sized chicken pot pie for lunch and then he promptly fell asleep so we're all trying to be very quiet so as to not wake him up before 5 pm. Which actually should be about...[lifts up wall clock and turns it to 4:50] ten minutes." 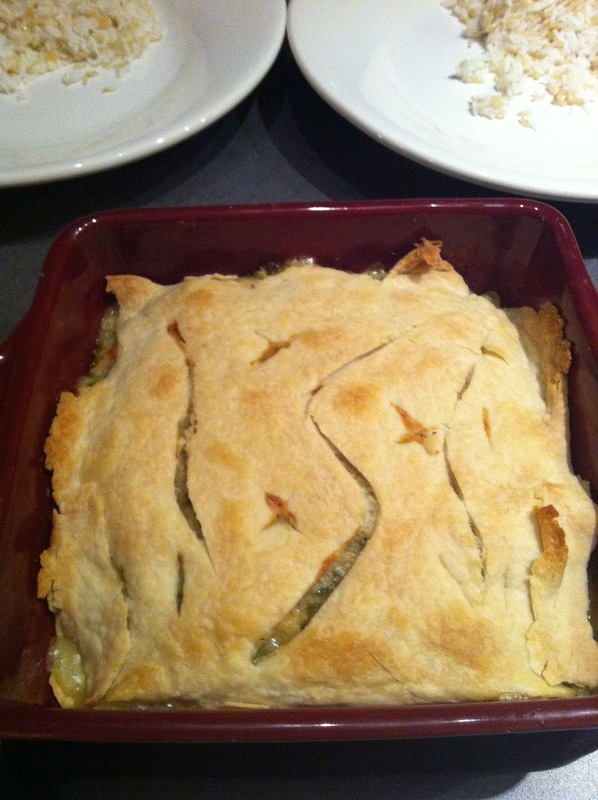 Yes folks, in honor of cozying up to a warm, autumn dinner table, AND in honor of Michael Scott, let's make chicken pot pie! You're thinking, "What? NO WAY! Too hard, I'll just go buy the frozen personal sized Betty Crocker ones!"... I say, "no way, jose!"... let me help you, because it's REALLY not difficult! 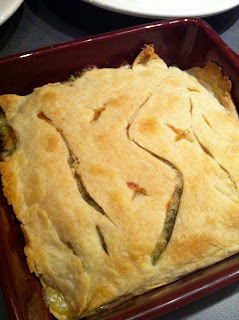 It's one of my favorite things to make actually, because it's so darn easy AND gorgeous and so so so delicious. So let's begin! Ok so here we go.... heat your oven to 425 degrees. 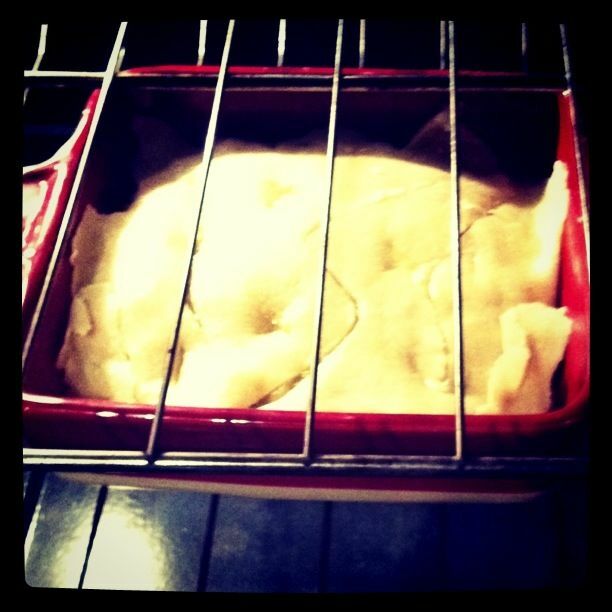 Let's make the crust. 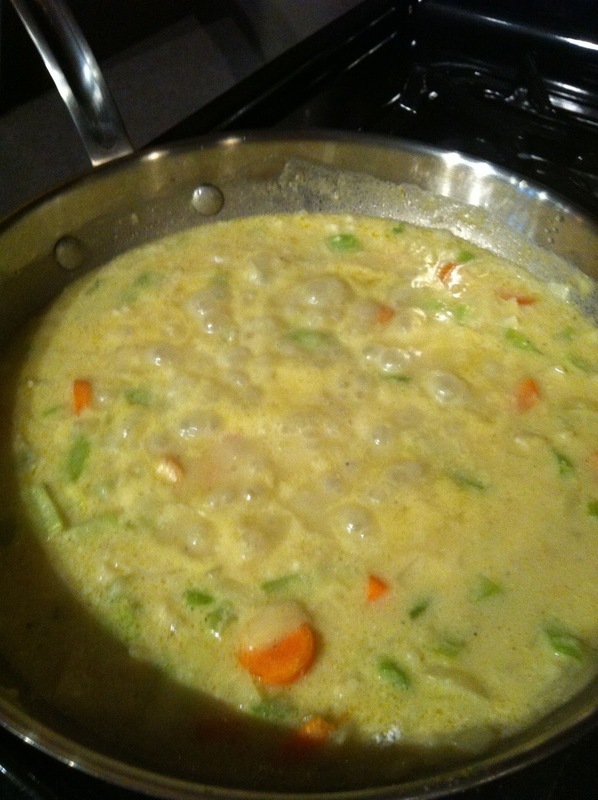 Combine flour and salt in a large bowl. Cut in the shortening with a hand pastry blender or fork until it looks like crumbs. ('cut in' just means cutting into crumbs rather than stirring) Mix in the cold water just until the dough is moistened and you can gather the dough into a ball. 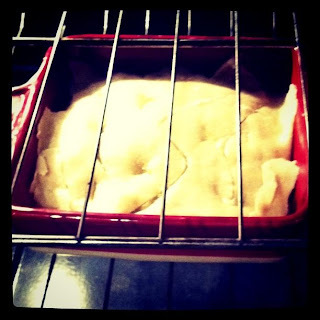 Divide the dough in half, make them both into balls and refrigerate one of them in plastic wrap. 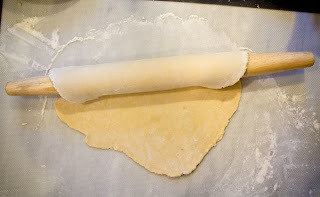 Place the rolling pin with dough on top of one end of the UNGREASED dish and unroll. Then press the dough into the bottom of the dish and all the way up the sides. 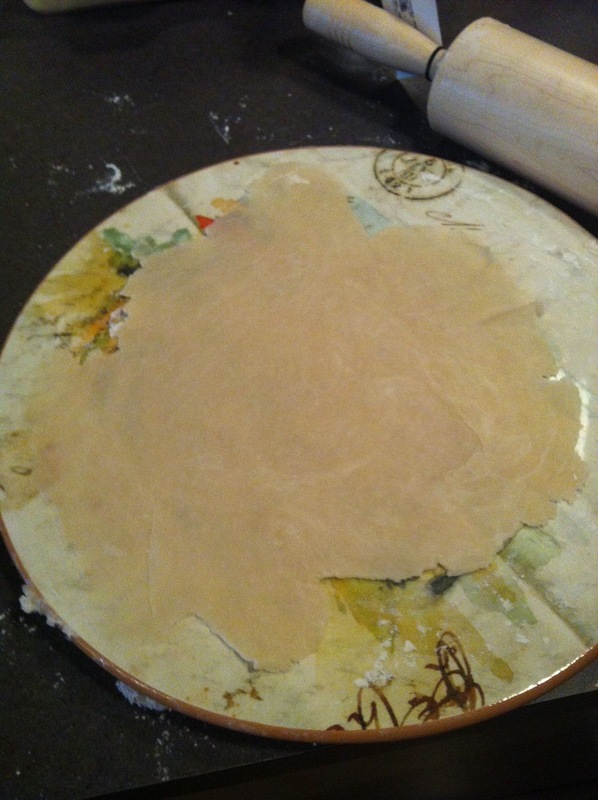 Either cut the excess dough, or leave it hanging over the edge and we'll form it later. Set this aside while we make the filling. Take a big spoon and spoon the filling into the dough lined pie plate or baking dish. Don't be shy with it, if it looks like you've got a bit extra, that's ok, I recommend using it all because I like having a bit of it boiling over through the top crust cut designs. ps- see how EASY fluting is? 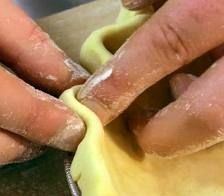 Just pinch dough around your pointer, then do it again and again all the way around- piece a cake! After enjoying your gorgeous creation, maybe snuggle up to a cuppa coffee or tea and watch "The Office": Company Picnic episode. What a good night that'll be. I am making this this weekend!